today's fast-paced world hardly allows for reflection. scarce are relevant and substantial ideas and content, which is why i offer them to you. "Get it first, but first get it right" goes the saying in journalism. It holds true in many other fields, too. Speed is important, quality more so. High quality content for clients, business partners or other stakeholders helps a company prove competence and distinguish itself from competitors. I offer content on political, economic, social and cultural developments, especially in Europe and Latin America, that presents a company as informed, international, on top of things. I offer this content as texts for magazines or newsletters, or as speeches at events. For instance, I have published articles in the "Swiss Export Journal" and the Swiss "KMU-Magazin". 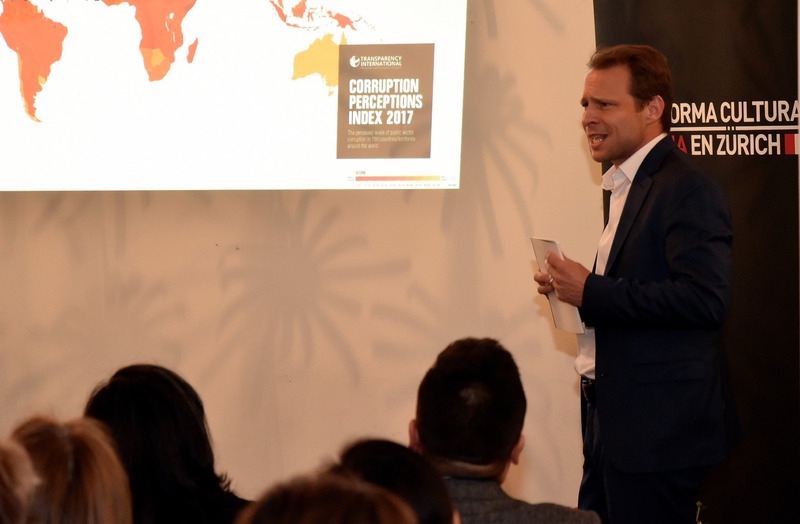 On November 15, at an event organised by the Swiss Export Risk Insurance in Zurich, I held a speech about business opportunities in Latin America for Swiss small and medium-sized enterprises. Museums, schools and other civil society organisations are interested in my content, too. For instance, I have given speeches on the following topics: Mexican migration to the United States (at the Romero-Haus at Lucerne), violence in Mexico (at the Migros Museum for Contemporary Art in Zurich), the complicated relations between Latin America and the U.S. (at the Día Latinoamericano 2017 of the Migros Klubschule Bern), and Trusting in institutions or people? Some personal remarks on societies in Switzerland and Mexiko (at an event by the Plataforma Cultural Peruana en Zürich).